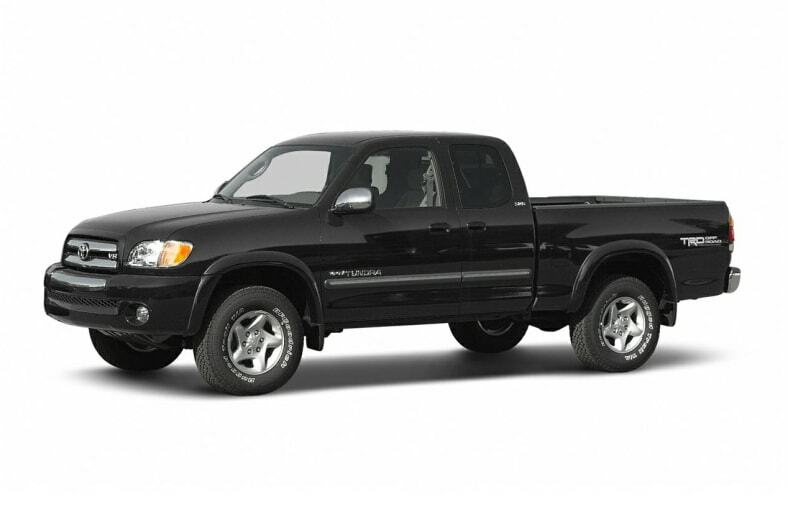 The Toyota Tundra is available in a new four-door crew cab model for 2004 called the Double Cab. The Double Cab features a deep, six-foot bed and brings Toyota closer to having a true full-size pickup: The Double Cab is three inches taller, four inches wider, and is built on a longer chassis than the other Tundra pickups. With the addition of the Double Cab, the Tundra is now available in regular cab, extended cab, and crew cab bodies. Though classified as full-size, the Tundra models are not as big as the Nissan Titan, Ford F-150, Dodge Ram, Chevrolet Silverado, and GMC Sierra models. Toyota makes up for this in other ways. The Tundra feels lighter on its feet, more agile and more refined than the domestic trucks. The Tundra is quick and responsive. And it's built to Toyota's high standard of quality, durability and reliability. The Tundra is one of the smoothest, quietest, and most refined pickups we've driven. Its 4.7-liter V8 engine is exceptional, with enough power to run with the big dogs. A properly equipped Tundra can tow up to 7,100 pounds or haul up to 1,800 pounds. A V6 engine is available, and there's a bare-bones work truck that starts at $15,955.